Ryerson TOgether kickstarted a month-long, campus-wide initiative Wednesday night to increase awareness on youth experiencing homelessness in the GTA. 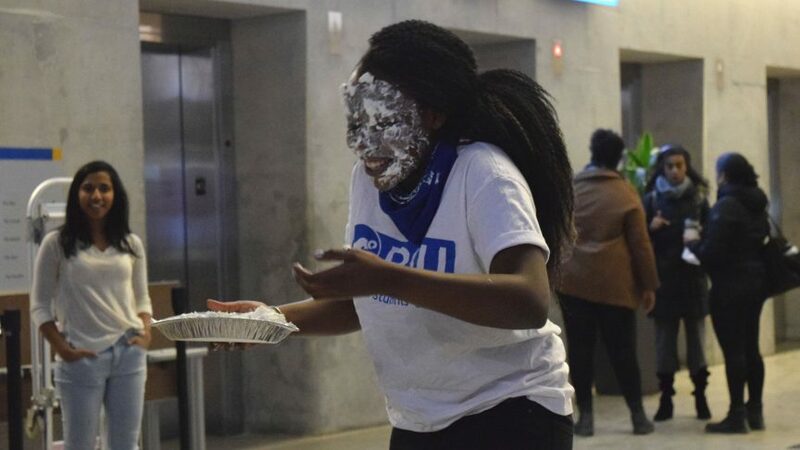 To launch the project, Ryerson Student Union executives and other student leaders volunteered for a bidding to get pied in the face. Ryerson TOgether was created by Ryerson’s Engineers Without Borders group, although its members come from different programs around campus. They decided to partner with the Yonge Street Mission Evergreen Centre and the Covenant House, both charities near Ryerson’s campus that work on issues surrounding youth experiencing homelessness. The launch party last night started off donations with a bidding war. Ryerson student leaders volunteered to get pied in the face, and the highest bidder got to throw the pie. The group raised $2,100 with the highest bid going for $350. Ryerson TOgether plans to crowd fund donations from faculty, student groups, students, alumni, and external donors. This is the first time a Ryerson based group has launched an initiative of this magnitude to raise money targeting homelessness in Toronto. 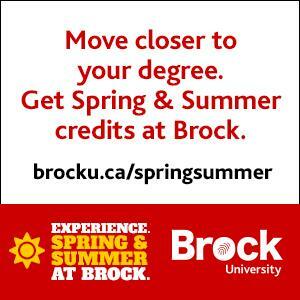 “When you walk from the subway or go to class, you see so many homeless individuals. 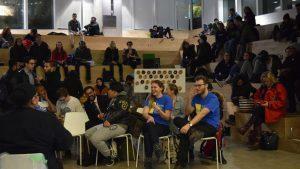 I’ve always wanted to get involved with something, but there wasn’t a platform to connect with at the time,” said Ayesha Hammad, the operations coordinator for Ryerson TOgether. Hammad recalls a time when her and her friends would put together care packages to hand out to those experiencing homelessness. Since then, she’s been an advocate for the issue, and enthusiastic to work with Ryerson TOgether. The next month will follow with more contests in order to raise money. There will also be a competition to raise money between student groups, and a case competition organizing students, faculty experts and social workers to discuss issues of homelessness and find ways to combat it. “We’ve been partnering with [the] DMZ to fund the best start-up [for youth homelessness] and the students will be fully supported…That’s how we want to raise awareness, we want students to get involved,” said Hammad. According to the statistics gathered by Ryerson TOgether, youth experiencing homelessness is on the rise. The number of men, women and children reportedly using emergency shelters in Toronto every night has increased by 17.5 per cent in the last year. 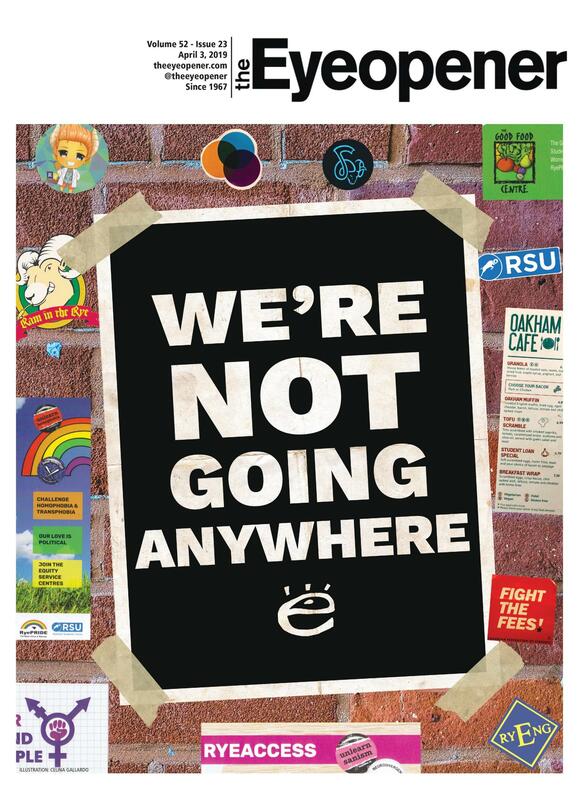 Marginalized communities have been disproportionately affected, with 16 per cent of those experiencing homelessness identifying as Indigenous and 21 per cent of those in youth shelters identifying as part of the LGBTQ+ community.